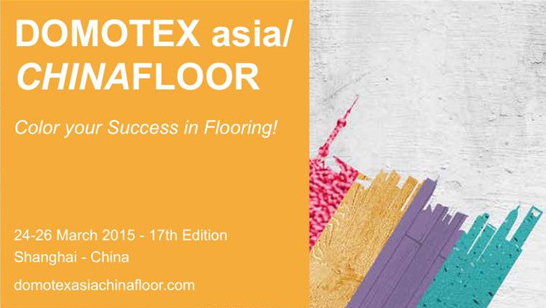 The 17th edition of Domotex Asia/ China Floor was held March 24-26 at the Shanghai New International Exhibition Center. With more than 1,275 companies in attendance representing all flooring industries from decking to carpets and turf, this is the largest floor materials show in Asia. The Americhem team joined the more than 30,000 visitors from over 100 countries to learn about the newest trends and technological advances of the flooring industry. Our commercial team enjoyed networking and seeing what the big names in flooring had to display. Belgian carpet company Beaulieu International Group will invest 13.5M dollars on two plants in Weihai City. They have already began the process of moving their equipment from Belgium to these new China plants. This is just one of many examples that show manufacturing being moved here to China where raw materials and many customers are located. Shanhua Carpet, which is also located in Weihai City introduced their new line of Tylon products which is an innovative biological based fiber for carpets. These products are made of a new generation of their already eco-friendly fiber Sorona, which is a flexible, renewable fiber used in the carpet industry. Shanhua also introduced its GY1323 series of carpets that are marine themed. These carpets are made with textures of polygonal cells with shimmering sea and oval patterns like shells on the beach. Paired with a pleasant ocean wall decor, it conveys features of environmental protection and comfort. You can see the trends changing in the industry away from the muted stock colors to more vibrant colors and patterns. There is much less beige living room carpet or self-promoting corporate designs. The hottest products this year had to be the PE Wood Plastic Composite (WPC) co-extruded products. Sentai, Helong and New Techwood are major players in this market and are bringing the innovation to the forefront of industries such as decking. Right now, their business is going out to Europe, USA and Canada. There was an educational seminar this year about WPC to introduce its innovation and usefulness to the flooring market. We also learned that Trex plans to enter the China market and will soon introduce their own line of PE WPC co-extruded products. Domotex Asia/China Floor is always a great event and we are grateful that we were able to attend to see not only our customers, but to see how the industry as a whole is growing.